Detoxification is your body’s mechanism of mobilizing, neutralizing and eliminating harmful compounds through your sweat, urine, or stool. Efficient detoxification depends on a series of chemical reactions. Each phase of the detoxification process requires proper nutrients, energy and optimal organ function to prevent blocks to the detoxification process. Essential oils for detoxification can help these processes function optimally. Essential oils for detoxification are ideal tools to support detoxification as they can help open your detox pathways. Topically applied and inhaled essential oils can help return organ systems and regions of the brain that support detoxification to balance, so your system functions optimally. Essential oils are also an ideal remedy when digestion is compromised, as they are quickly absorbed into the blood stream both through topical application and inhalation. Specific blends can be used to enhance vitality and function of your organs of detoxification, including your liver, your gall bladder your kidneys and your lymphatic system. Essential oils are lipophilic (fat-friendly), allowing them to pass through cell membranes and brain cells, which are also comprised primarily of fat. This is because cell membranes are composed of a phospholipid bilayer which allows fat soluble molecules to diffuse into the cell. Detoxification only occurs in the Parasympathetic state, where your body shifts out of survival mode, known as the sympathetic “Fight or Flight” state, and is able to rest, repair, detoxify and heal. This parasympathetic response can be triggered by stimulating vagus nerve, the longest nerve in your body which connects to all the organs of detoxification including the lungs, spleen, kidney, small intestine, liver, gallbladder, stomach and colon. Sympathetic Dominance which blocks your body’s ability to detoxify and heal. Read More about Sympathetic Dominance HERE. Stimulating your Vagus Nerve helps your body switch out of the Sympathetic Dominant state into the Parasympathetic State. Applying the Parasympathetic™ blend on the vagus nerve (behind the ear lobe on the mastoid bone) is a non-invasive and highly effective tool for stimulating the vagus nerve and supporting the detoxification of your vagus nerve to enhance future signaling (Read More about Vagus Nerve Toxicity HERE). Parasympathetic™ blend’s key ingredients of Clove and Lime also support your detoxification. Research shows that the limonene found in Lime essential oil is known to stimulate the production of glutathione, a powerful antioxidant that facilitates your body’s natural detoxification processes, and serves as a natural chelator that can bind to environmental toxins. Glutathione also helps protect cell mitochondria, enhance tissue recovery, calm inflammation and modulate the immune system. Unfortunately, most nutritional supplements of glutathione are not absorbed well and do not raise glutathione levels within the cells, so Lime oil’s ability to help stimulate the production of glutathione inside the cells contributes to the Parasympathetic™ blend’s ability to support detoxification. Read More about the Benefits of the Parasympathetic blend HERE. Inflammation turns off your ability to detoxify. If you think about it, detoxification is all about flow and movement – mobilizing and eliminating toxins from the body. And inflammation blocks movement. Your inflammatory response immobilizes your injured area, triggering symptoms like swelling, pain and stiffness – all of which block access and movement to protect the injured area. This blocked movement also inhibits your ability to eliminate toxins, by down-regulating your body’s natural detoxification pathways, and specifically blocking your ability to transport and eliminate toxins. For example, toxins flow through liver directionally. Inflammation can block that directional flow and back log toxins back into the blood stream. At the same time, inflammation upregulates the mobilization of the toxins, so more toxins are released but cannot be eliminated. Inflammation in the intestinal tract can lead to gut lining permeability known as “leaky gut” and contribute to systemic inflammation as it allows pathogens to cross the gut wall and leak into your bloodstream provoking an immune response and triggering even more inflammation. Your liver helps pick up the slack when your intestines are compromised, absorbing and neutralizing these excess toxins. But at a certain point, leaky gut can overburden the liver, compromising its function and your ability to detoxify. Healing leaky gut and systemic inflammation can help support detoxification. The Gut Repair Kit™ can help anti inflame and heal your gut. Intestinal Mucosa™ helps balance gut flora and heal the gut lining so that nutrients necessary for detoxification can be assimilated. Anti Inflammatory™ helps reduce inflammation and encourage regeneration of damaged or stressed connective tissues, like the tight junctions in your small intestine. When applied around your gut, Intestinal Mucosa™ and Anti Inflammatory™, in combination with binders (Read More about Binders HERE) ensure that toxins are not reabsorbed into your body, but intercepted in the gut and safely eliminated. The Parasympathetic™ state reduces inflammation in your body. It is your vagus nerve that serves as a detection system for inflammation. Your vagus nerve’s vast network of fibers stationed around the organs identify inflammation (such as the presence of inflammatory proteins) and alert your brain to send out anti-inflammatory signals, in essence helping to prevent chronic inflammation in your body. The Parasympathetic state helps improve communication between your body and your brain to help modulate your inflammatory response. In the parasympathetic state, your vagus nerve communicates with the rest of the body by releasing the neurotransmitter acetylcholine which acts as a brake on inflammation in your body, inhibiting the production of pro-inflammatory messengers. (Read more about Parasympathetic for Inflammation HERE). Research has shown strong decrease in inflammatory symptoms from stimulating the Parasympathetic state. Apply Parasympathetic™ oil on your vagus nerve (behind the earlobe on the mastoid bone) to prevent or reduce systemic inflammation in the gut and the brain. Your gallbladder stores and concentrates bile, a yellowish-green fluid that carries toxins and old hormones out of your body. Ideally, your gall bladder releases bile into your small intestine where it breaks down the fat for your body to absorb, before being eliminated from the body in your stool. When we eliminate the bile, we eliminate the toxins along with it. Unfortunately, stress, toxicity, hormones, or diets too low or too high in fat can make your bile thick, viscous and stagnant which impedes its ability to flow both to your small intestine and out of your body. When bile flow is sluggish, toxins, waste and old hormones that were stored in your bile for elimination via your intestines do not exit your body and are therefore reabsorbed further adding to your body’s toxic burden, contributing to hormonal imbalances and inflammation. When toxins are reabsorbed, they can seep back into your tissues, including your brain, where they cause inflammation and damage. Read More about the Gall Bladder HERE. Gall Bladder™ helps stimulate and support healthy bile flow. Bitter herbs, including concentrated herbs like essential oils, have long been heralded for switching on digestive processes and mobilizing bile, and toxins, from your liver. 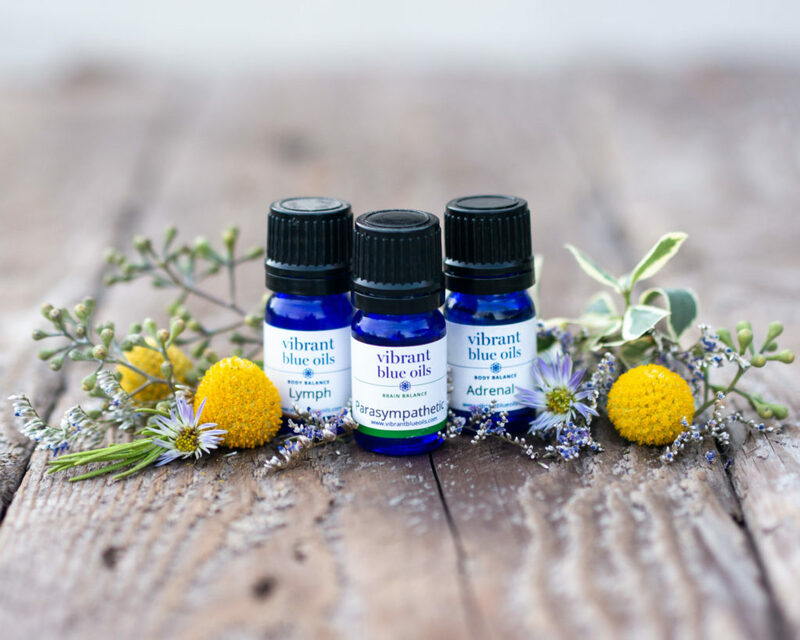 Apply Vibrant Blue Oils Gall Bladder™ on the right side of the body under the bra under-wire or along and slightly under the right rib cage 2 -3 times daily to improve the viscosity of your bile and stimulate the optimal flow of bile from your Gall Bladder. When your gall bladder is supported, digestion and elimination improve allowing for improved detoxification. If your extracellular matrix (ECM) is congested, it can impair your ability to detoxify. Essential oils, with their ability to permeate the walls of your cells, can be a powerful tool to help decongest and detoxify your extracellular matrix. The ECM is comprised of lymphatic vessels which run through connective tissues. When toxins are carried out of your cells, they first pass through your extracellular matrix to your lymph, and then on to your organs of elimination. When your lymph is congested or stagnant, toxins can build up in your extracellular matrix, which can cause a worsening of symptoms. The lymph system acts as the sewer system of your body, removing metabolic waste and toxins from cells and the ECM. Your lymphatic system works in conjunction with your fascia and connective tissue which serve as a buffer zone for any kind of stress like excessive nutrition, excessive animal protein, toxins and infection leaving the vascular system. Many of these toxins and microbes are accumulated in the connective tissue. Lymphatic flow can mobilize these toxins and microbes, as well as helping to release emotional and mental trauma stored deep in our tissue. Read More about Essential Oils for the ECM HERE. 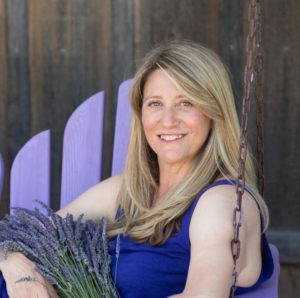 When our connective tissue and fascia contract – from issues like acidity, infection, inflammation, toxins, scars or unresolved emotional issues conflicts – it impedes detoxification efforts. To help support the EMC to enhance detoxification, apply Lymph™ around the sides of your neck, under your arm pits, along your bikini line and around the gut, along with Histamine Balance™, on nape of the neck, behind ears and around gut and Circulation™ on the sides or back of the neck, over the left clavicle, on the wrists or ankles. Your lymphatic system plays a critical role in detoxification, carrying metabolic waste, toxins and infections out of your cells via your lymphatic fluid. It works as your body’s septic system. Just like the drains in your home, your lymphatic system can get congested and stagnant. Unlike your cardiovascular system, your lymphatic system does not have its own central pump — it only moves as your muscles squeeze it along. So the lack of movement makes your lymphatic system stagnant, with lymphatic fluid and waste accumulating and excessive toxins building up. (Learn more about the Lymphatic System here). One way to determine if lymphatic circulation is sluggish is to depress the skin on the back of your hand with your thumb. If your skin takes three or more seconds to return to normal color after being depressed, the lymphatics are probably sluggish. If your lymphatic system is not working correctly, elimination, detoxification and immunity may be affected. Improving lymph flow throughout the body is critical to helping the body release toxins deep in the cells. To enhance lymphatic flow and drainage, generously apply Lymph™ around the sides of your neck, under your arm pits and along your bikini line.